Back: Jack Buchanan, Martin Grindley, Vincent Berry, Matthew Carr, Mark Bowie. Middle: Chris Cosh, Ryan Russell, Alex Lacy, Gary McDevitt, Kenny Wilson, Alan Filshie, Craig Cavana, David McNaught, Mark Pawsey, Alan Gourlay. 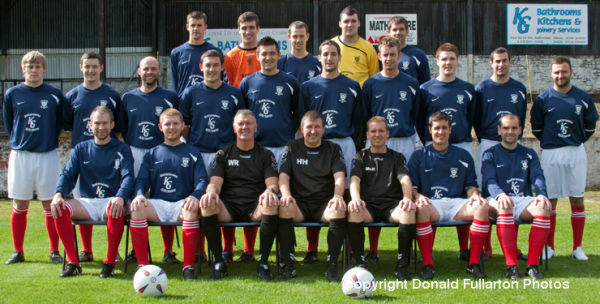 Front: Graeme McKenzie, Alex Drain, Willie Robertson, Hugh Hamill, Scott McKernan, James Crowhurst, Alan Brown.